Here are five key areas to focus on to help you create great Web videos. 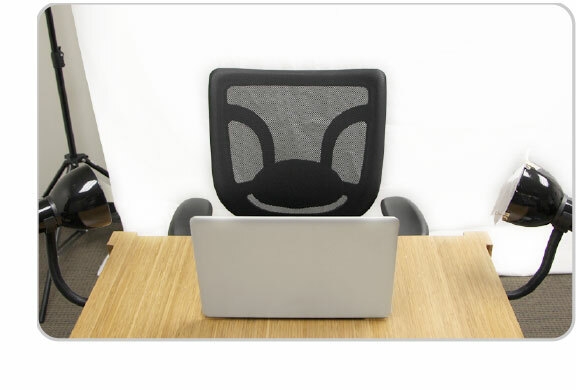 1For Skype video calling, you’ll be sitting at a computer while engaging a colleague or colleagues. Think about your shooting area as a studio and consider its various components: the camera, microphone, background, and lighting, and how you will account for each. While you’re setting up your studio, it’s important to limit the framing of the video to yourself and a solid background as you don’t want other items in the room entering your shot. 2While it may be tempting to stick with your computer’s built-in webcam, chances are that your webcam will shoot low-quality video. Since many people out on the Web are starting to expect high-definition video, it’s a good idea to go out and get a webcam that can shoot and record in HD. If you don’t have a built-in webcam that can shoot in HD, we recommend checking out the Logitech HD Pro Webcam C920 for Windows and Logitech HD Pro Webcam C910 for Mac. One advantage of these webcams is that they also record decent audio. 3You have several options available for getting a decent sound for your Web videos. 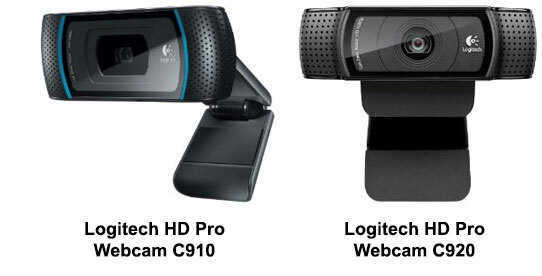 The first is to use a good HD webcam (like the Logitech models recommended above) that can record audio. 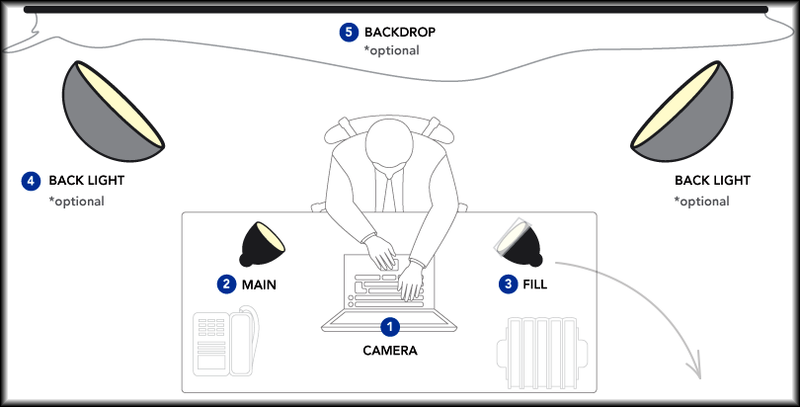 If you want to go with this approach, select one that has dual microphones because it will capture the audio better. Your second option is to pick a USB microphone (see right) that can connect to your computer to improve the sound. We like Blue Microphone’s Snowball ($68) because it offers great sound for price, or you can upgrade to their Yeti ($106) for even higher quality sound. If that’s not your style, you can always go the route of a headset or lapel mic. One thing to note, however, is that these will likely be visible in your video. 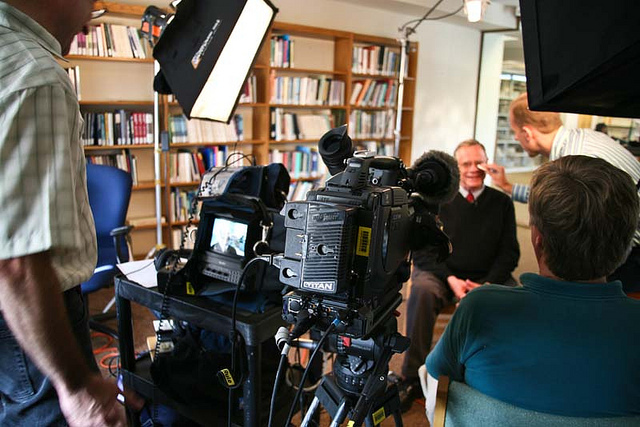 4Lighting is a big area of focus when trying to get your video to appear professional. If you don’t have the right lighting, colors will dull and there will be shadows in your face. Neither is desirable. 5Use Skype to preview your shot (#1) and adjust your lighting as needed. You’re looking to evenly light your face. The main light (#2) is your primary light source, while the fill light (#3) comes from the other direction, generally less intense, to bring down the shadows created by the main light. 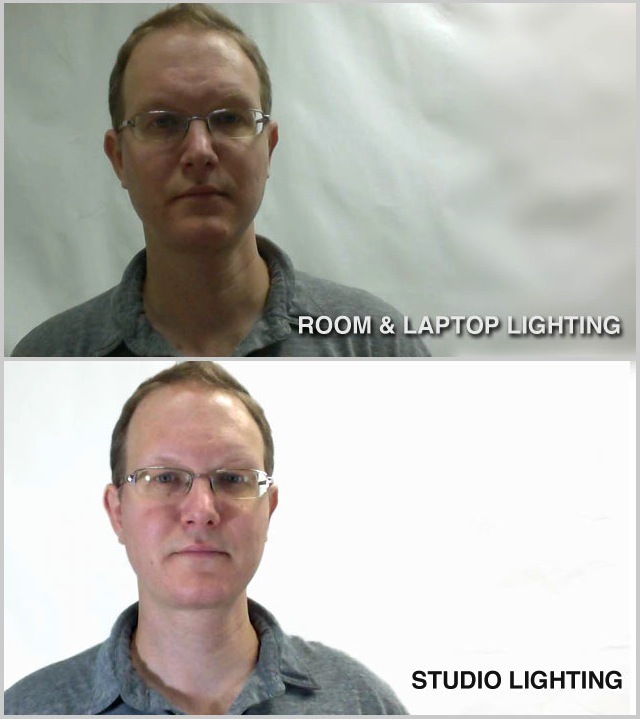 Two desk lamps ($23 each) with copy paper taped in front of them to act as diffusers (as shown below) are highly effective at providing additional soft light for your webcam — just keep an eye on heat. You may need up to three back lights (#4) to light your backdrop (#5). Other backgrounds can be used but avoid too much activity as it can negatively impact video quality. There you have five areas that we focus on to create great, professional-looking Web videos without breaking the bank. Do you have any tips you’d like to provide? Leave your thoughts in the comments below! This originally appeared at Lauren’s blog, Major Multimedia.